Automatically determines the IP address on cameras that support the Simple Service Discovery Protocol (SSDP), making it easier for users to get connected to their cameras without having to know the technical details of their camera’s network configuration. Canon and Sony cameras support SSDP. Nikon does not. Automatically synchronizes the camera’s time to the system’s time each time airnefcmd is executed. This is supported on Nikon and Canon bodies. If you’ve been following the online forums about the D800/D800E you may have come across a few message threads about a “Left AF point” issue. Or maybe a few hundred threads about it. In today’s blog I’m going to discuss the issue, and then present a video demonstration of the sadness on a recently-acquired D800 that is afflicted by the disease. First, is the problem real? Yes. I’ve had two D800 bodies so far, the first I acquired soon after they became available in the states and a newer one I bought within the past few weeks. The first body had perfect AF – its left and right AF points were highly accurate and consistent across all my lenses, including the ones most sensitive to the Left AF issue, the 24G f/1.4 and 14-24G f/2.8. The second body? Not so much. 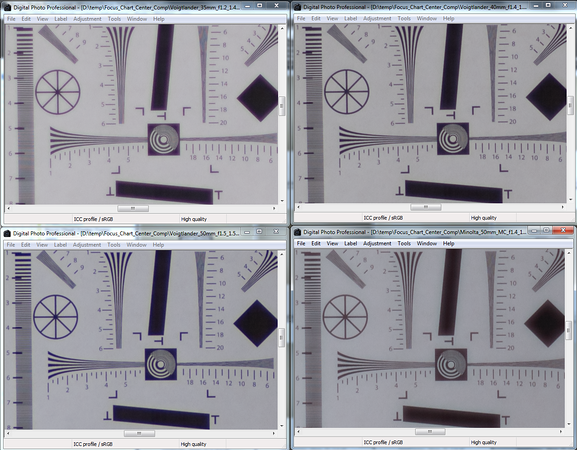 The good news is the second body has highly consistent autofocus, just like the first. The bad news is it’s consistently bad, at least when focusing using its leftmost AF point. After finetuning this second body with my 24G (-5 AF tune for you geeks), the center and right AF points produce perfectly focused images at f/1.4, over a wide range of focusing distances. The left AF point? 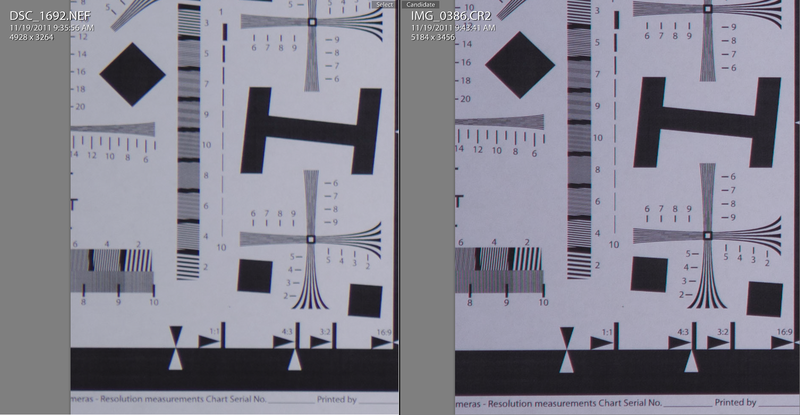 It’s a little off starting at MFD (minimum focusing distance), then gets progressively worse as the focusing distance increases. At around 4 feet and beyond the focusing error becomes unusable wide-open on my 24G. What follows is my video demonstration of the issue, as recorded from a live session with my second D800 body. I set up three siemens star charts perfectly parallel to the camera’s focusing plane, one centered on the rightmost AF point, one on the center AF point, and finally, one on the boogeyman leftmost AF point. I mounted my D800 on my sturdy-as-all-getout Benro J-3 ballhead and C-358m8 legs. The charts were illuminated with a 5000K LED lamp to produce an exposure of f/1.4 ISO 100 1/50. Not the most light possible but certainly well above the darkness threshold where the D800 starts to hunt like a blind pig. To isolate clarity issues to the AF system alone, I configured the body in 2-second exposure delay mode, which combines the mirror vibration-avoiding MLU mode with the human vibration-avoiding timer-release. This level of precision of setup isn’t really necessary; you can simply point your camera at something of interest and see if it takes a sharp photo. Expecting any less from a $3,000 body seems rather silly. But in the interest of repeatability, comparability, and most of all, flak invulnerability, I went through the trouble of setting up the most precise test I could think of. The methodology is simple. 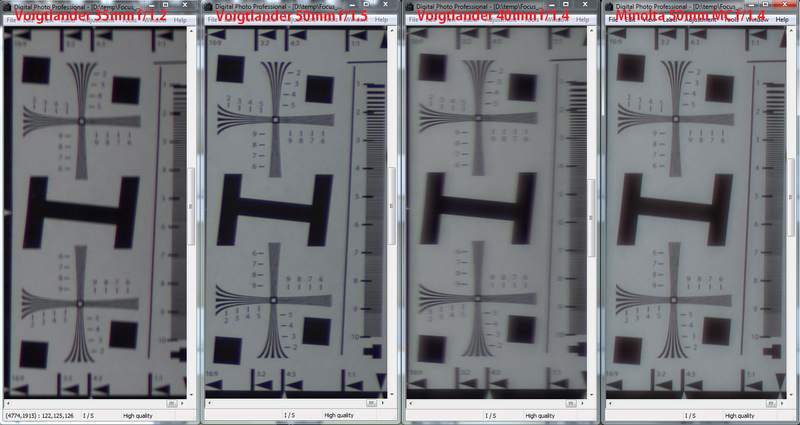 For each of the three AF points I first enter Live View and focus on the siemens star using the ultra-precise Contrast-Detect autofocus and then snap a photo, which becomes my reference “sharp” photo. I then exit Live View and take a sequence of three photos using the camera’s Phase-Detect autofocus, racking focus in between each photo so that the camera has to work to acquire focus. After each photo I zoom to 100% in playback and then compare the photo to the reference shot focused in Live View. 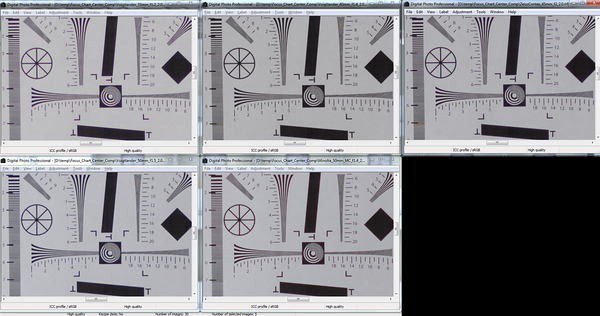 For my test the charts were mounted 4 1/2 feet away from the sensor plane indicator on the body. As mentioned previously, at closer focusing distances the problems are less severe, at further distances forget about it. Watch the video below for the results. So what’s Nikon’s position on this? Nobody knows. Of the D800/D800E owners who have sent their bodies in, the early adopters reported frustration and lack of success, whereas the most recent service attempts seem to have been much more successful. I’d like to send my body in as well, except I haven’t been able to convince Nikon USA to send me a prepaid printing label that will spare me the $50+ insured shipping expense. That’s Nikon USA’s standard warranty policy/procedure. And unless and until this issue is recognized by Nikon as something beyond the normal low-percentage defect rate type of issue I suspect that policy will remain in place. When will Nikon acknowledge the issue publicly? Will they issue a recall, even a silent one? 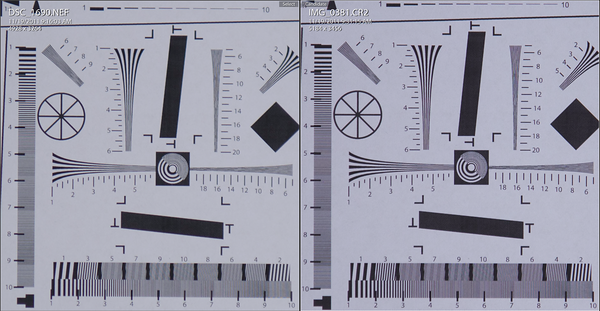 Today I’m comparing the IQ of the two workhorse crop-body midrange zooms from Canon and Nikon @ 55mm f/2.8. Conclusion? The Canon wins hands down. 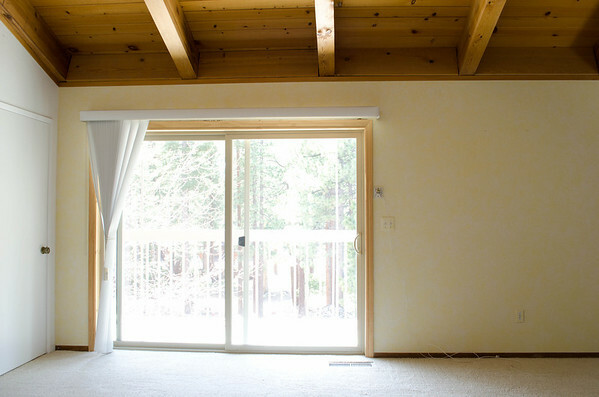 Click through these images to see the 100% view. You may need to click twice to get your browser to show you 100%. Focus point was on the “10” that you see in the bottom right of the crops. I’ve seen a recurring question pop up on the dpreview forums: how much sharper is the IS version of the 70-200mm f/4 lens vs the non-IS version? The answer: On the 5D Mark II the difference isn’t noticeable in the center. On the 18MP crop bodies (7D/T2i/T3i/60D), the difference is noticeable, as is typically the case when evaluating different classes of lenses on higher pixel density cameras. Here are the two lenses on the 5D Mark II, shot from about 15 feet @ 200mm f/4. Click on the image for a full-sized 100% center crop. 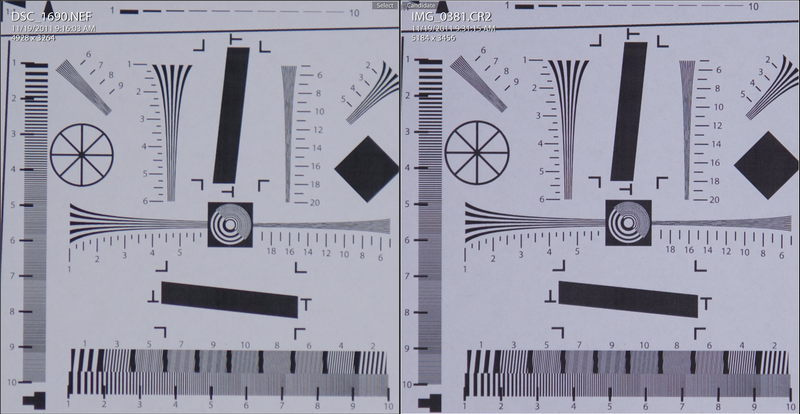 Here are the two lenses on the T2i, shot from the same distance. Click on the image for a full-sized 100% center crop. All samples were manually focused in Live View, shot raw and processed with default settings in LR3. When you click through the images you may need to click a second time to get your browser to show you the full 100% view. Nikon has added an in-camera HDR feature for the first time in their DSLR bodies with the D5100. The camera will take two photos with varying exposures; you can let the camera choose the exposure delta automatically or you can specify it yourself within a range of 1-3 EV full stops. You can also choose to let the camera automatically meter the scene for the base exposure or set the exposure manually in M mode. Before I discuss the IQ there are a few quirks to the feature. First, the HDR option in the Shooting Menu is grayed-out if your image quality setting is RAW or RAW+JPEG; you must first choose a JPEG-only quality setting before the HDR option is available (btw, a big pet peeve of mine with the D5100 is that the camera displays a generic “This option is not available at current settings or in the camera’s current state” whenever you try to do something that is invalid for the camera’s configuration, rather than telling you what corrective action needs to be taken to make the option available). Another quirk is that the camera returns to non-HDR mode after you take a photo, so if you want to take multiple HDRs you have to return back to the shooting menu between each photo, or configure the Fn button to do this for you. Quirks aside, how is the IQ for the HDR mode? Pretty good actually. I’m still evaluating exactly what tone mapping decisions the camera is making for different scenes but on balance the camera renders HDR how most shooters expect it should. Here’s a sample taken via a tripod. 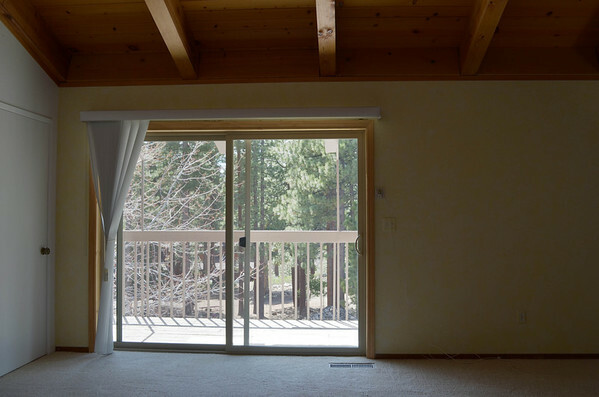 I haven’t evaluated the camera’s ability to align photos yet. I first took two raws with +0 and +3 EV, to demonstrate what the exposure is like, then took an HDR JPEG with the same exposure settings.